"It's like going to Hollywood and being behind the scenes on a movie set. It's such a unique opportunity and experience." "This NFCC course allowed me to see another perspective on pre-game preparation, scouting opponents, and in-game charting. Additionally, having the amazing opportunity to meet with WCWS participating head coaches was incredibly insightful. Coach Alameda, Coach Ford, Coach Inouye-Perez, Coach Walker and Coach Tarr were incredibly giving of their time and willing to give advice and insight into what makes their respective programs successful." "It is one thing to go to a clinic and have someone tell you, from their already prepared presentation about some aspect of coaching. It is quite another thing to sit with a DI coach during the games at the WCWS and evaluate coaching decisions and plays in real time. 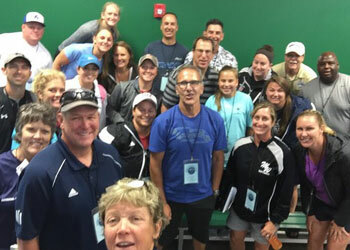 When coupled with the in-class time and instruction on team evaluation, using charts and other aspects of softball coaching I would say this was the most educational and fun learning program I have attended." 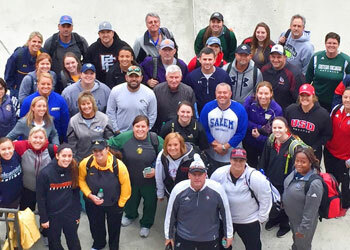 "I have been coaching high school & travel ball for over 15 years, and this course was the most useful clinic type event that I have ever attended. It is an experience that all coaches should experience". "Such an awesome course!! I’m so thankful to be able to learn from such incredible people. I’m so appreciative of the NFCA and for the leadership we have in the NFCA. I’m so proud to be a member of this organization. You all are incredible! Thank you so much. This course and all of the coursework has been absolutely brilliant! I can’t think of a better way to complete my 4-star it at the WCWS. And now to start again. Thank you!!"